Text & Photographs By Jim Burnett © All rights reserved. Wildlife photography is a popular activity for both pros and amateurs, and whether your goal is a great shot of a bison or a butterfly, national parks and similar areas often provide unique opportunities for a prize-winning shot. Because hunting is not allowed in national parks, wildlife in those areas can lose much of their natural fear of humans. While this often makes it possible to get closer to many species than would be the case in other locations, some people are tempted to abandon caution in the quest for a great photo. The old adage about a picture being worth a thousand words may still be true, but so is its corollary: a picture is not worth a thousand stitches! Wild animals which have become habituated to humans often appear to be "tame," especially if they've come to associate people with food. Some animals will actively approach you in search of a snack, while others may appear to ignore humans who want to get up close and personal. Never forget that despite appearances to the contrary, these are wild animals, and that apparent indifference can change in an instant, often to your detriment. Above all, never get between a female animal and her young. Regulations against feeding wildlife are often ignored, but they exist for good reasons. Not only is "people food" bad for the bird or animal, getting close enough to feed them also puts you a risk of a bite or worse. Every year, people are seriously injured and sometimes killed when they get too close to wildlife, and the danger is especially high for large mammals such as bison, elk, moose and bear, all of which can easily outrun a human despite these animal's large size. Even small mammals can be a problem. A bite may not be a serious wound, but if the result is an unpleasant and expensive series of rabies shots, you'll wish you had resisted sharing your lunch with that "cute" little animal. Amazingly, some people even insist of feeding skunks, an activity which poses risks of very undesirable outcomes one would think should be obvious! The solution, of course, is to use a long lens with enough power to get your shot from a safe distance. Just don't fall into the "viewfinder or zoom lens trap." Like the warning on the passenger side mirror on your car that vehicles are "closer than they appear," an animal seen only through your camera may have approached too close for comfort before you realize what's happened. Lower your camera occasionally and get a reality check. So, how close is "too close"? Some areas have specific, legal guidelines, so always inquire about safety tips and regulations when you arrive at any park. At Yellowstone, for example, it's against the law to approach within 100 yards of bears or within 25 yards of all other wildlife. Veteran rangers offer a good rule of thumb: Even at those distances, if your presence causes any large animal to alter its behavior, such as stop feeding or change its direction of travel, you're too close. "Dances with Wolves" made a great title for a movie, but it's not a good idea when it comes to the real world. Great wildlife photos can be the result of unexpected, serendipitous moments, so keep your camera handy and be ready when those opportunities occur. Just be sure you get that shot of a lifetime in a way which respects your subject, the natural environment, and your safety. 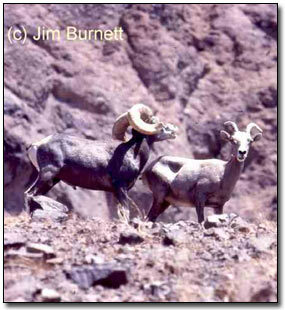 "Written by veteran park ranger Jim Burnett,'Hey Ranger! True Tales of Humor and Misadventure from America's National Parks' takes a fun and informative look at the lighter side of outdoor mishaps and at life as a ranger. The book also provides some practical tips for safe trips to the Great Outdoors. Details are available at http://www.heyranger.com. 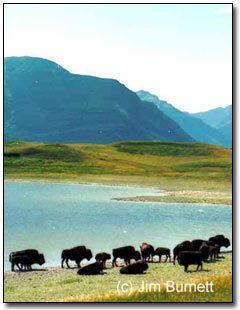 For the Glacier NP article, you might consider the photos of "Two Medicine Lake" on "National Park Photos page 2" on that site or the "Bear Grass" or "Hike at Glacier NP" photo on "National Park Photos" page 3 on that site.